From the thundering sounds of the Victoria Falls, to the massive elephants on the Chobe River, predators fighting to dominate the Savuti Marshes, and walking in the wilds of the Okavango Delta - this Safari365 travel itinerary will guarantee a true safari adventure. On arrival in Victoria Falls you will be met by a Safari365 representative at the airport and will be transferred to your Victoria Falls hotel with majestic views directly towards Mosi-Oa-Tunya (The Smoke That Thunders). 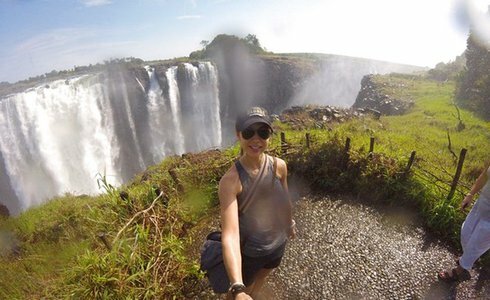 On your first day, you will have time for a guided Victoria Falls tour, and will witness what David Livingstone gazed upon 150 years ago, whilst experiencing the might of the roaring water. On your first evening enjoy a sunset cruise. Dine in style, observe evening movement of wildlife coming for water and experience the elation of being totally immersed in Africa. The Victoria Falls area offers numerous activities for all travellers, from bungee jumping to relaxing boat cruises. Elephant-back safaris, walking with lions, white water rafting, village and cultural tours, craft markets, game drives, and scenic flights. (These optional extras are not included in the tour price). On your second evening, you will be driven to 'The Boma Restaurant' for authentic African cuisine, and a night of drums, dancing, and delicious dishes. 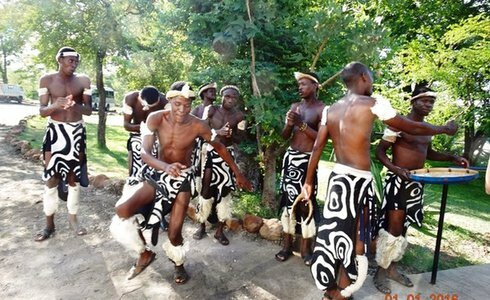 On day 3 you will be driven across the border into Botswana, pass through immigration, the through Kasane, into the famous Chobe National Park. Transfer to your Chobe safari lodge, where all your comforts will be taken care of while you enjoy all activities, meals and local drinks. 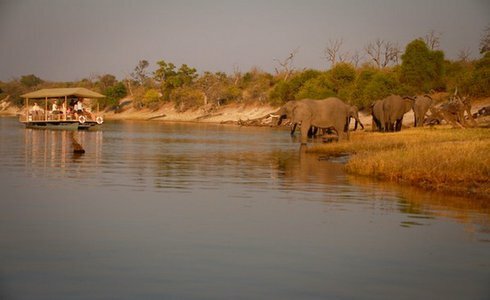 Highlights within Chobe National Park include both game drives and boat safaris. You will experience a vast array of animals on land, as well as, crocodiles, hippos and water monitors. Chobe is widely known for the seemingly endless bird species, and sightings include pelicans, herons, eagles, cormorants, kingfishers, bee-eaters, and more. Superb for the photographic enthusiast. 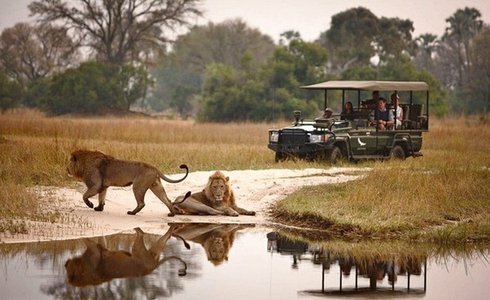 Spend your safari to the Chobe on activities customized to show you the best the park can offer. Today you will drive back through Chobe National Park to Kasane Airport, where you will board your charter flight to Savuti. Savuti lies in the remote western section of the park, separated from the main river by a vast dry hinterland. The lion population in this area is incredible, with huge prides coming together during certain times. Savuti is home to a huge population of resident game, as well as, one of the biggest zebra migrations in Africa. 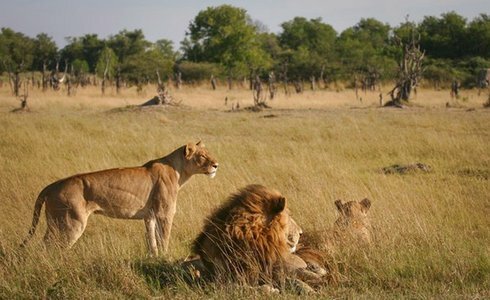 On your Savuti safari, expert guides will take you on game drives into one of the wildest areas of Botswana. Here you are guaranteed to see a huge range of species; including great elephant herds, lions, eland, kudu, cheetah, and more. You can also take an excursion to the bushman paintings found in the Gubatsa Hills. After spending another breathtaking night in Savuti you will return to the airstrip, where you will board your charter flight into the depths of the Okavango Delta. Flying above the Delta will give you endless views of the majestic waterways and lagoons making up this wilderness. In flight you can appreciate the vastness and magic of this area in a way not possible on the ground. You will land at the airstrip of your Okavango safari camp, being offered a variety of activities, meals, and local drinks and relax. 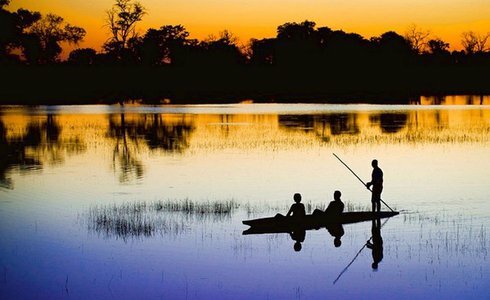 Surrounded by tranquility, mokoro (canoe) excursions out onto the channels of the Delta, as well as guided game walks along the islands surrounding the camp location are offered. As the camp is surrounded by so much water, game drives are not possible, so your experience of the wild is not unlike that of the early explorers - by boat and by foot, offering a truly unique wilderness adventure. On your last day, you will return to the airstrip for your return flight to Kasane - inevitably melancholic on leaving the paradise of the Okavango Delta. On arrival in Kasane you transfer across the border to Victoria Falls, where you will continue with your onward flight arrangements. Depending on your international flights, you can also fly from your Okavango safari camp directly to Maun, and continue with your flight arrangements from there.